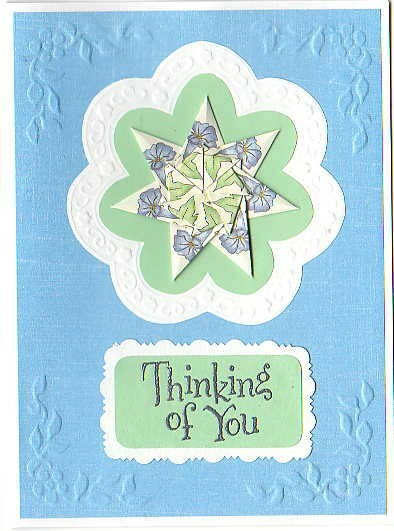 The template I used for the cutting and embossing on this card is by by Marianne Designs. It is perfect for the seven point star, since the flower has seven petals. All of the embossing and the flower shapes came from a single template, and I only used half of the available designs.